After months and months of trial, error, more trial and several factory visits, I have finally developed prototypes for my inaugural line of neckties with The Dark Knot. I would like to thank my family, friends, all of you and many others who have made this come to fruition! I cannot wait to share this exciting development with all of you! Please email me at info@thedarkknot.com for more information! 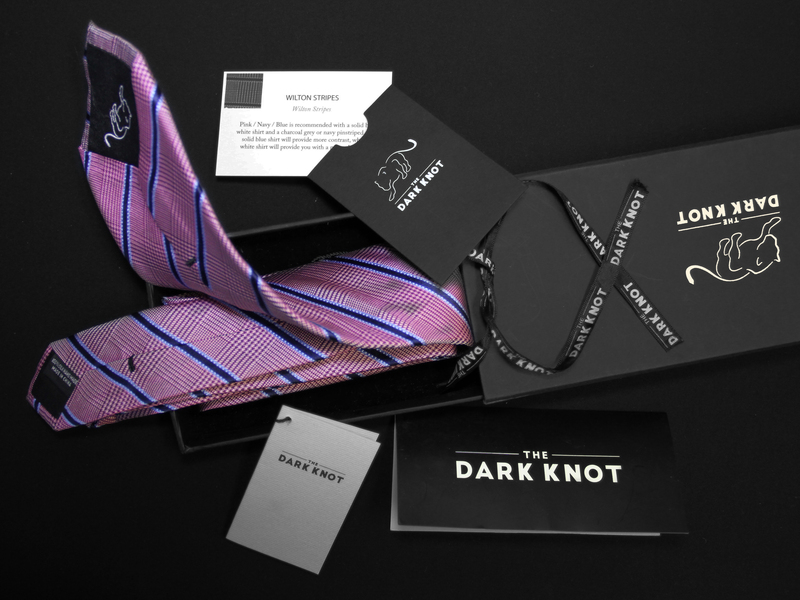 Each necktie comes in elegant packaging and with a recommendation for matching suit / shirt combinations.